Photos from Fendi 90 years anniversary! Just imagine you had the opportunity to attend this spectacular runway show in Rome? 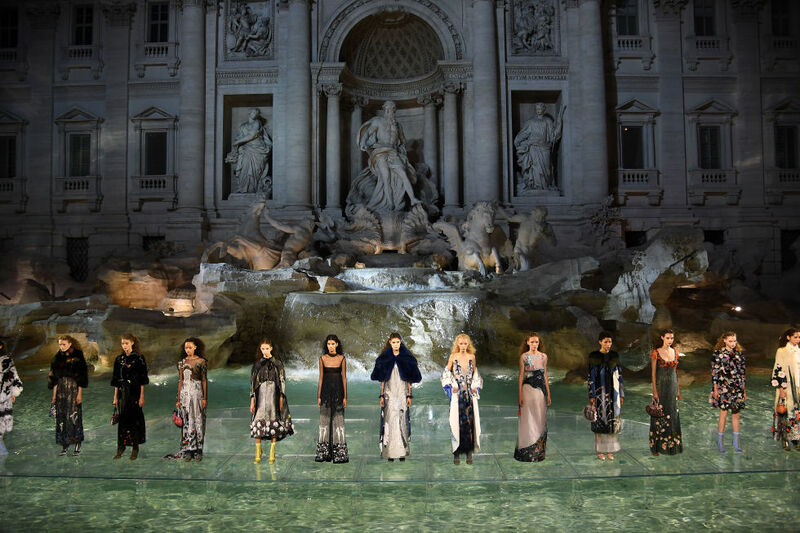 Most especially the venue was at the iconic Trevi-Fountain in Rome where Fendi models walk on the water of Rome’s Trevi fountain. So console yourselves by enjoying these beautiful images. It’s been 90 years since Fendi started this amazing journey in Rome. It will go down as one of the most epic show venues ever used by a fashion powerhouse. The spectacular event was attended by the cream of de la creme. Next Post HATS TO HATS TALK!